So not much to report specifically for the last fortnight. 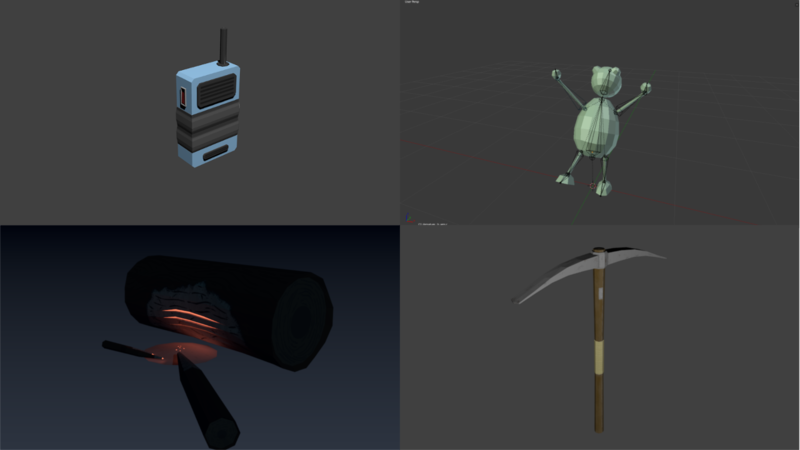 I’ve been mostly committed to refining a lot of the pre-production, furthering my learning with Unity and Blender, and preparing a lot of the social aspects for the end of the month (which I hope I can accomplish on time…). Well that was a short one! Till next time, all the best~! Well that’s that! Till next time, all the best~! Nothing like ringing in the new year by being a couple of days late for this post, but despite originally being on time a last-minute call-in for work messed up my schedule over the past few days. But fear not, I am still here~! The last post was before Christmas, so I hope everyone has been wonderful! I’ve been hard at work, as well as enjoying a little time to myself. 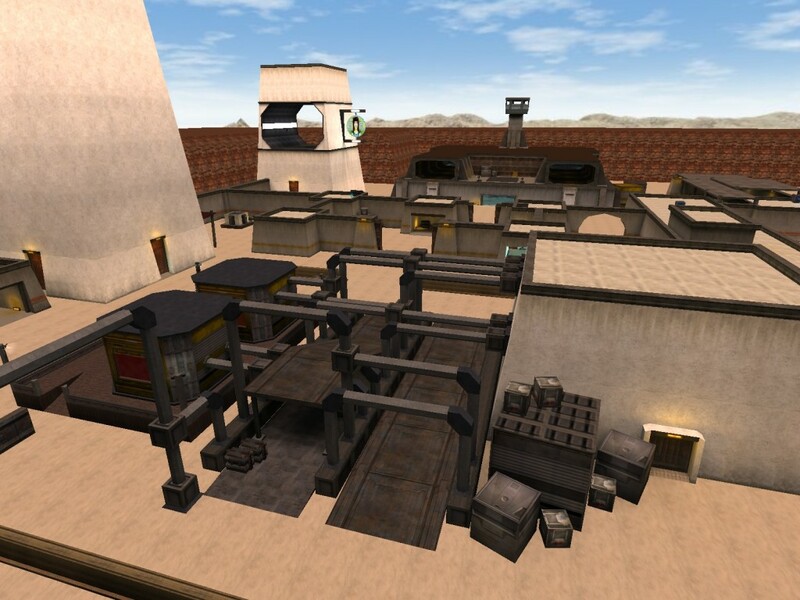 I spent a few weeks solidly working on a personal project (a map-mod for a game called Jedi Academy as a gift for my brother) which was both exhausting and amazing. Just for fun, I’ll drop a screen-shot at the bottom. If I’m bothered, I’ll also set-up a download link over at jkhub.org where all the fun Jedi Academy stuff hangs out. Since then, I’ve jumped right back into work for T.H.E. game, grinding through the pre-production. Sticking hard to my schedule, I’ve managed to complete my base story structure on time! I now have a giant pile of notes and documents detailing the complicated story paths for the game. From here, I hope to finish some of the additional work for the game, get the rest of the concept art finished up, and begin work on a sample engine with Unity! I’m also still practicing with some 3D modelling, including texturing and rigging! Maybe next post I’ll have some cool shots. Oooh so many exciting things! I’m also still going to be working on my card games and the graphic novel this year. T.H.E. game takes priority, but I like working on everything! 2018, year of grinding to work hard. 2019, year of releases and success! Let’s do this! Sorry I’ve been so busy getting ready for Christmas lately! Work-wise I’ve mostly been writing with occasional drawing, but my time is mostly consumed by various Christmas preparations. As such, nothing really to show or talk about this time round! I will also most-likely be skipping next post (Jan 1st) because the next week for me is still more non-work-work, and I am not sure yet how available I shall be immediately in the new year. We’ll see! Regardless, see you all next year, have a wonderful time, and all the best~! 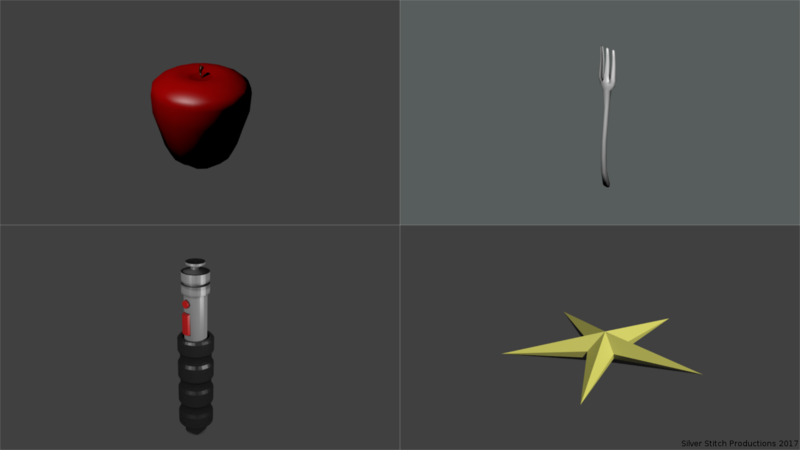 Been quite hard at work lately, lots of 3D model practice, Unity practice, and heaps of writing! 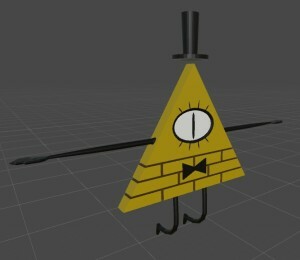 I think the modelling is coming along really well! I’ve added an image at the end to show some of my progress. I’ve been practicing getting ready to start making game-ready objects and I think I’m getting there! Once I’m a bit more comfortable with Unity I’ll start doing some samples and roughs! I’m very excited! The writing is really taking shape, a handful of different characters and locations with rather complex and overlapping stories shared between them! I’m going to aim to get the base of the pre-production done before the end of the year; that means getting all the characters and their progress paths written up, a brief on all the areas, and general player progression. Hopefully some more concrete sketches as well (been doing a bundle of them as well~)! I’m going to keep working hard, and hopefully try to post up a progress image every post now! Till next time, all the best~! Not too much new stuff these past two weeks, just a whole ‘lotta practicing some skills, learning some new stuff, and doing pre-production. Been busy with life interfering a lot as well, but still pushing on with the projects! Late again! Though I was away for a bit and came back to world of busy. Since the last post, nothing really new unfortunately because I spent most of that time away on my little holiday! Went to hang out in New Zealand with some friends to catch the end of the snow season, was an amazing time! With that behind me now and October looking pretty open for me, it’s time to cram into this new project and continue the Unity migration! Don’t think I mentioned it last time but I’ve started learning 3D modelling as part of my Unity migration and for the new project (which I refer to as T.H.E. Game); it’s been incredibly enjoyable and while I am still a bit slow at making simple objects, I love the process, the problem solving to get the best form with minimal work and detail, and the end results are constantly improving! I look forward to working hard this coming month! Till next time, all the best!